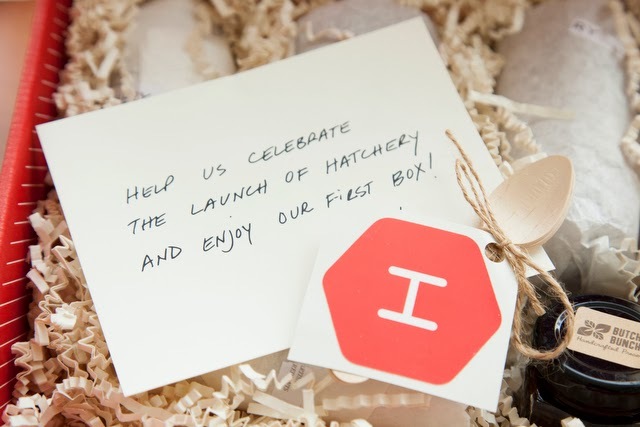 I found out (and fell in love) about Hatchery at a press preview in NYC a few weeks ago. 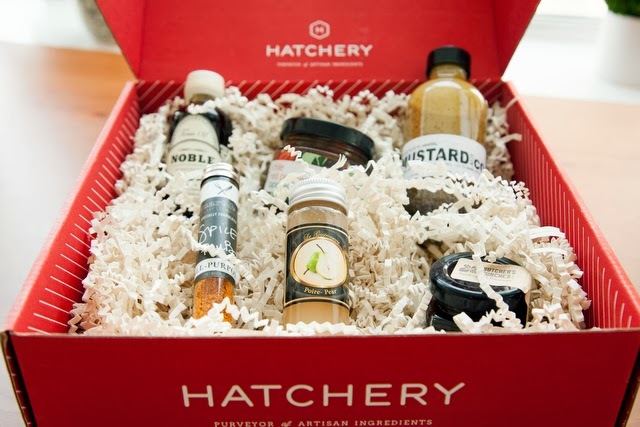 Hatchery is a monthly subscription based tasting box that will have our inner chefs swooning in no time. 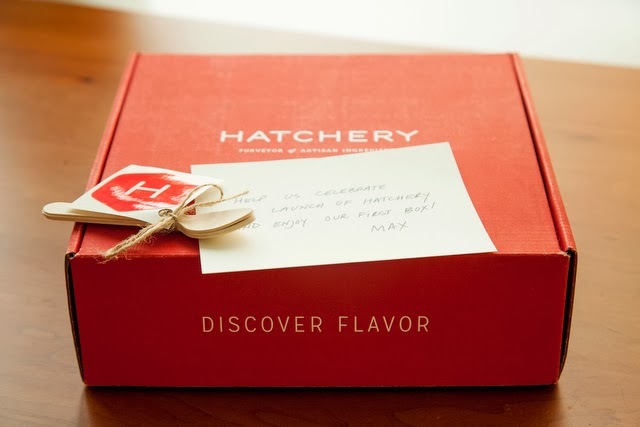 Just like Birchbox, Shoemint, Stylemint, and many other subscription based marketplaces, Hatchery is changing the way we shop online - but this time it's all for food. I'm no chef and I can't say that I cook more than two or three times a week but I do know I love to try exotic spices, artisanal spreads and all sorts of gourmet goodies. 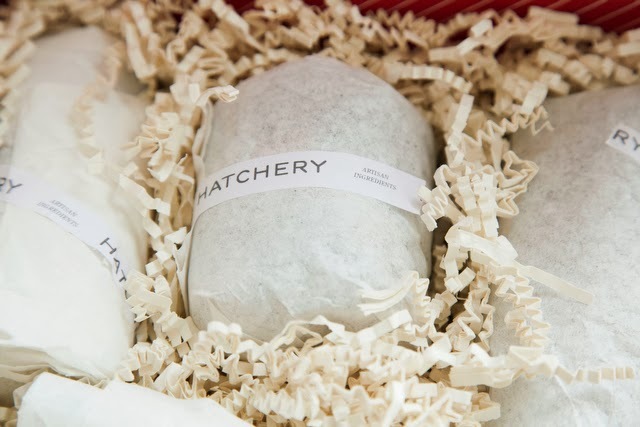 At Hatchery they consider themselves "foodie matchmakers" and they work hard and travel the country to connect with quality artisans and small producers. Hatchery gives us all a chance to go on a little culinary retreat in the comfort of our own homes! For $20 a month or $220 a year you will receive a real cute box with 5-6 sample-sized, hand selected artisan ingredients neatly tucked inside. And if the pictures above don't convince you to subscribe then go ahead and visit the marketplace and browse through all the delicious goodies Hatchery has in stock - that will surely convince you! This bourbon barrel matured maple syrup changed my life forever - not even kidding. 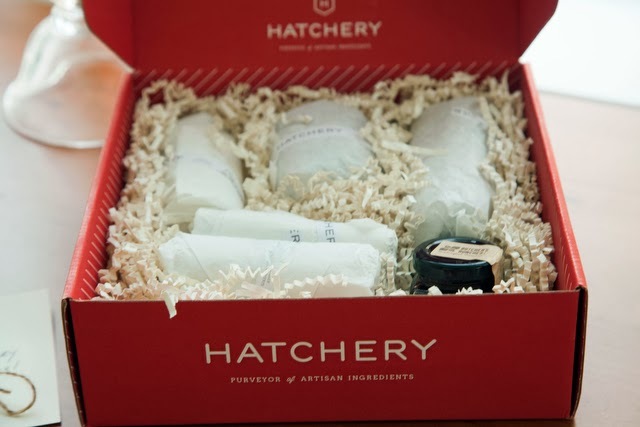 A Hatchery subscription would also be the perfect gift for any foodie friends or loved ones in your life! Love this! That would make a great holiday gift too. I just got that Noble Maple Syrup at Anthropologie, can't wait to use it..right now I'm just obsessed with admiring the insanely cute packaging! I NEED to sign up for this!! Such a great idea. This is fabulous! Love the foodie box! This sounds pretty amazing. A box for trying new foods?! Um.. yes please. Birchbox for foodies? Sign me up! Oh boy this is right up my alley!